You’re already advertising on Facebook, so stop paying for low-converting website traffic or a bucket of leads that you can’t immediately interact with. 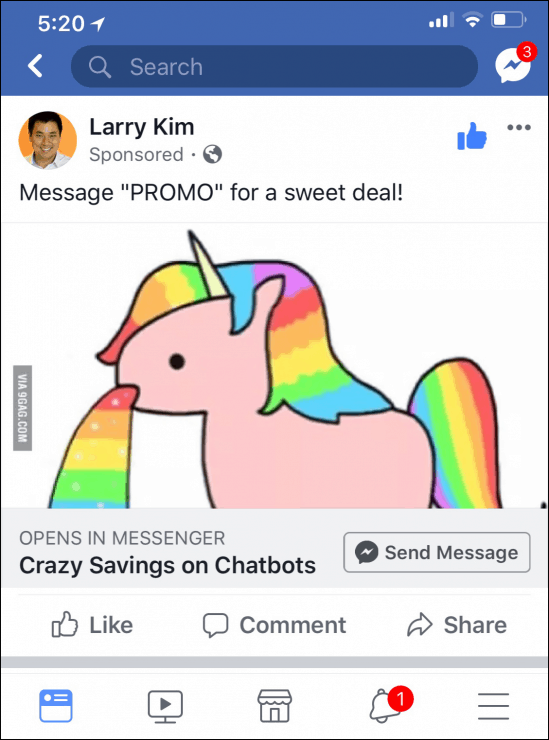 What are messenger ads? Click-to-Messenger ads are super engaging. They’re always mobile-friendly. And the conversion rate is 100% because you get everyone’s contact info and can message them back via Facebook Messenger, capitalizing on Facebook Messenger marketing! 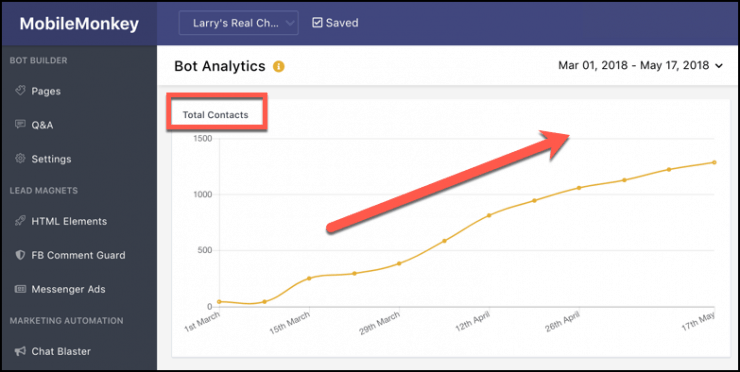 With Facebook Messenger Ads, watch your Messenger contact list climb for guaranteed ROI. 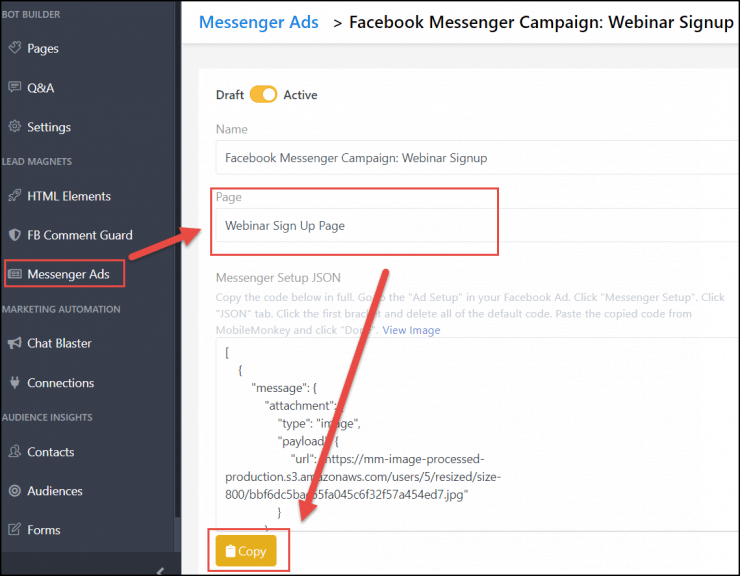 Send your Facebook ad audience into your chatbot messenger funnel by adding a snippet of code. With Facebook Messenger Ads and MobileMonkey, you get the contact information of anyone who sends your ad a message. You can follow-up with them, blast them, send them content based on their interests and more. You get more user data from Facebook Messenger Ads than you will from any other ad type, on Facebook or elsewhere. Plus you can keep adding more intel you collect the more you interact with them with custom variables. Create a personalized 1:1 communication channel with your customers. Stay engaged with your Messenger contacts by answering questions and offering support. So when a customer asks a question via Facebook Messenger chat, they get an immediate answer plus a person to follow-up if they want to talk. 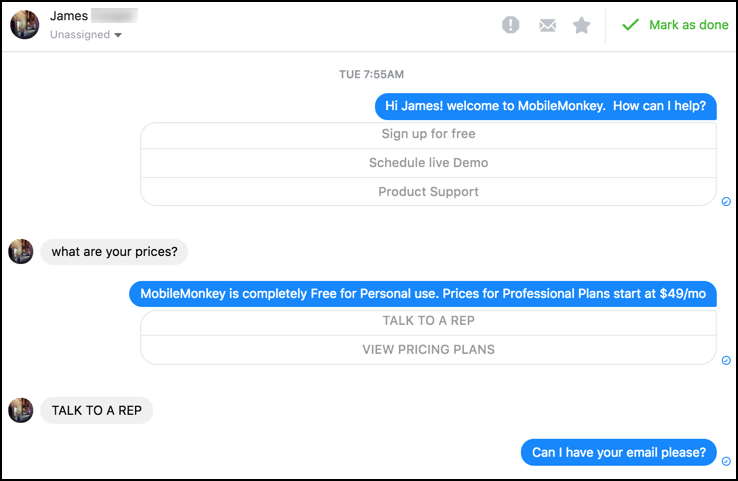 Upgrade to Engaging Facebook Messenger Ads with MobileMonkey!